Carter agreed to give The Undefeated’s Marc J. Spears an exclusive look into his 20th NBA season on and off the court in a bimonthly diary. This is the sixth edition. Chapter 20. Part 6. 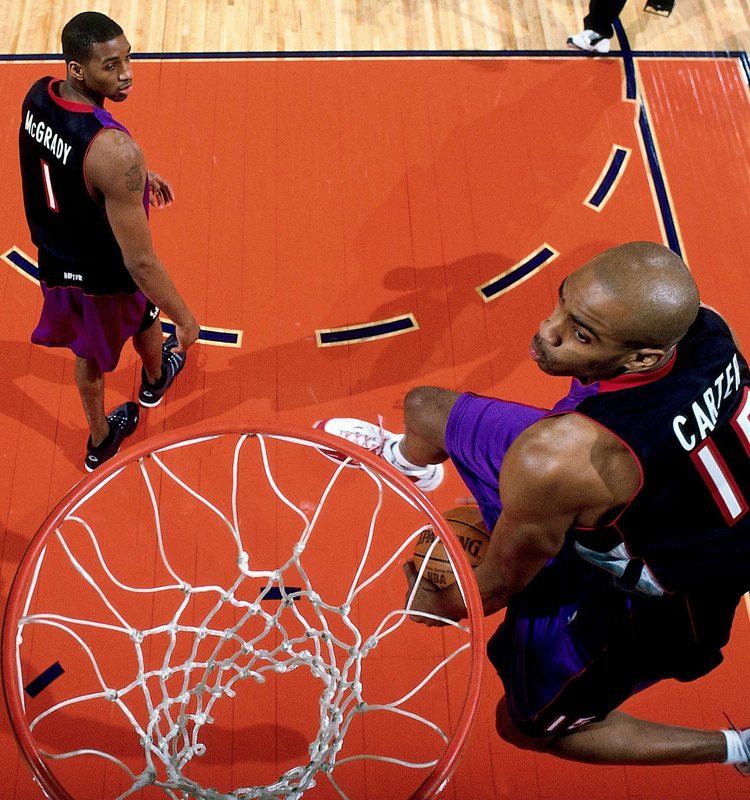 Carter reflects on his victory in Slam Dunk Contest on Feb. 12, 2000. What do you remember about the call you got for your first NBA All-Star Game in 2000? I couldn’t stop smiling. Obviously, you got through the season accomplishing what you can accomplish in the season. You want to be as good a player as possible and get recognized. It’s an honor just to be an All-Star. You can’t beat that. And being the leading vote-getter was unbelievable. What was your fondest memory of your first NBA All-Star Game? Just going through the process. A lot of those guys had already been through it, so I was like “the rookie,” the young guy. I think all the stars of that All-Star Game congratulated me about the dunk contest. I’m talking about guys who had already won it. Legends that won the dunk contest themselves who said, “Yo, man, that was amazing what you did.” I was kind of appreciated. This was during my first couple of years, so you don’t know if the guys were like that. I give credit where credit is due. And it was that way. It was just great to see. A wonderful feeling. And, of course, to be able to play the game itself, I was able to represent Toronto during the dunk contest Saturday and in another big way in the game on Sunday. With everybody watching, it was pretty cool. And I don’t think that everyone understood. I was happy and excited in the moment more so than realizing how big it was for the team I was playing for. Could your performance in winning the 2000 NBA Slam Dunk Contest be the most memorable moment of your NBA career? I say yes because that’s where it started. That kicked off who I became. That night, holding that trophy up, from that moment on to this day, it turned me into a different person. The first part of the season comes. I’m learning my way. Figuring it out. I was just getting better and better. I got to the game, and just being there, being with the best of the best, I belonged here. I earned it. I just became a different person. 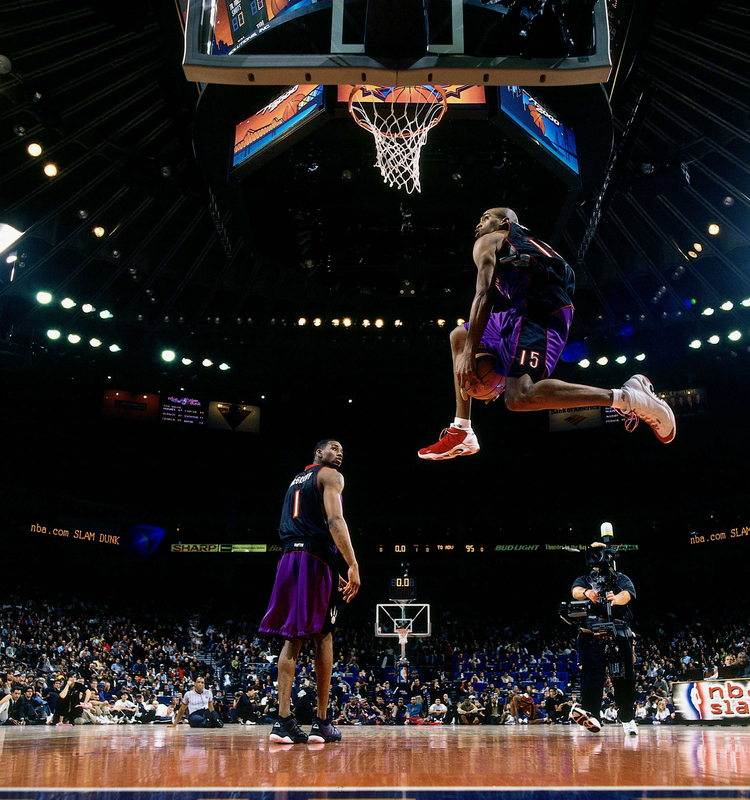 What was the moment like when you won the 2000 NBA Slam Dunk Contest? I’ve watched dunk contests over and over and over. Studied them. And not just try to watch the actual dunk, but just watch them as they are walking off, sitting there, all the stuff that goes on behind the scenes, the whole thing. I was just trying to be in the moment. And when I was in the moment, I was in the moment. I had been watching it for so long and I’m here now. I had moments where I thought about how would I feel, react when [then-NBA commissioner] David Stern gives me the trophy. All of that stuff sets in. I went through all that, but never knew how I would feel. And then I’m in the moment, got there, I remember holding the trophy up because that’s what everybody does and is supposed to do. There is not really a handbook. You got to go with the flow. But [Stern] was like, “Get the trophy up, it’s your stage.” I see all the [camera light] flashes go off and I’m thinking, “Damn, this is what I used to watch all the time.” And Dominique [Wilkins], Spud [Webb] was there. Jordan. Dr. J [Julius Erving]. All of these people I’ve watched. Now I’m in the circuit doing it for the next kid, the next dunker. It was crazy. I walked off of that stage and one of the first people I met was one of my heroes, Dr. J. So once we got back in the back, as soon as they opened up the curtain, Dr. J was right there and he said, “Congratulations.” It’s over. You can’t tell me nothing. [Erving] was great. He was nice enough to take a photo with me holding the trophy. He didn’t have to do that. But he did that. But it was a great moment for me. All of the things that I thought about all just came to life. Icing on the cake. Go to sleep and then, how about this, Sunday is the next dream, you’re playing in the game with some of the best. It was awesome. What advice would you give to a participant going to Los Angeles this weekend who is competing in their first NBA All-Star Weekend? Try to enjoy the moment, because it’s a circus. As a first-timer, you are put in a situation where you’re doing a lot of things. You’re doing all the interviews. You’re trying to live it up. It actually wears you down. There was just so much to where I needed a break. I was in the moment. I loved it. But I needed a break. I just tell guys it’s not going to be easy. It’s not like what you think it is. It’s an All-Star Game, but it’s a lot of work. You’re a first-time All-Star. When you’ve been there, you know what to step in and what to step out of. That first time it was a little much for me. I just wanted to sit me in my room and say, “I’m an All-Star.” But they were like, “Nope, you got to do this on Friday.” It was just a lot. What advice would you give the dunkers competing in the Slam Dunk Contest? Think it through. I know a lot of guys go off the cuff. But it depends on what you’re trying to accomplish. If you’re just there for the moment, enjoy your moment. But my mentality is a little different than everybody else: I was there to win it. It was a business trip. Saturday was a business meeting. 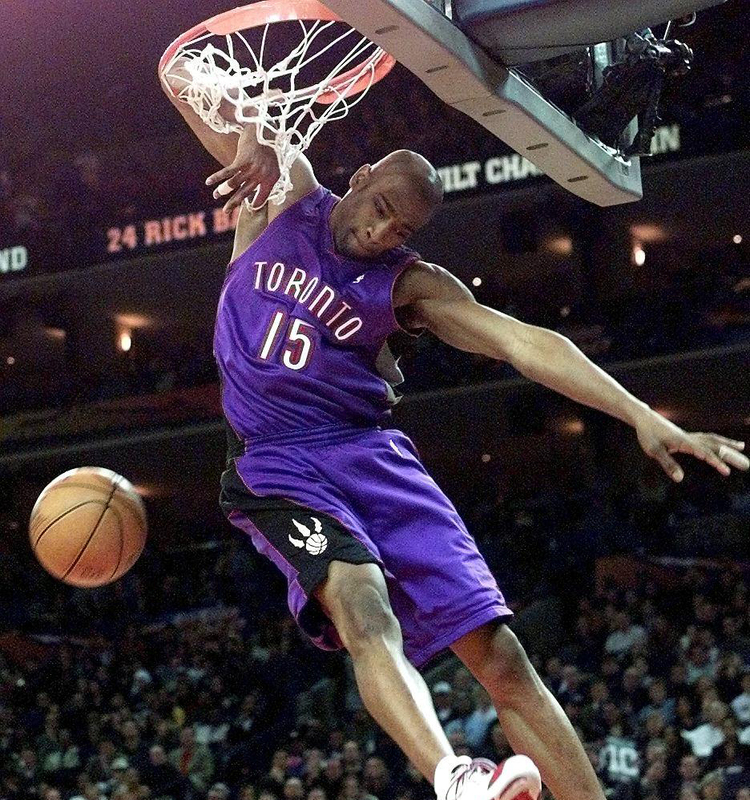 I dreamt of being in the dunk contest for years and years and years, and I got that opportunity. So why not do it the first time? It wasn’t about if I had a name. I knew all of that comes with winning. I felt like that is who I am. That is what I’m able to do, so I’m going to do it. That was the approach. Of course, you want to win and hopefully put on a show. I had a lot of respect for the dunkers who were in there. I knew in my mind, I don’t know what everyone else thought, but in my mind, I knew T-Mac [Tracy McGrady] had some stuff. I knew Steve Francis had some stuff. I knew Ricky Davis had some stuff. So that is why when I was in the layup line I said, “Um, this isn’t going to be good enough,” meaning with what I had. As it continued, I had to do better. I went off the cuff and made up some stuff. But my focus was there.